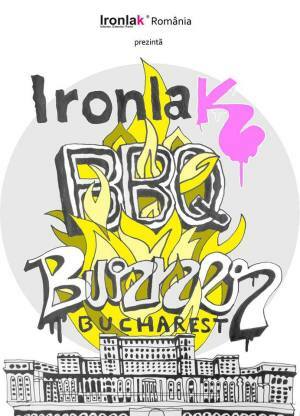 Ironlak Romania together with Urban Art Association presents the official event: IRONLAK BBQ BURNER BUCHAREST, international phenomenon of Graffiti and Street Art. CONTEST: If you want to be part of the event send us links or photos with your drawings at: [email protected] The first 5 people chosen by competition will join the guests. Winners will be announced Thursday (22nd August) on the event page. "IRONLAK BBQ BURNER BUCHAREST" Art Show in Bucharest. You can get here description, reviews, address, time and details of "IRONLAK BBQ BURNER BUCHAREST" Art Show in Bucharest. Visit Bucharest Tips for more Art Show events in Bucharest!